A great place to pick up a Chicago White Sox Hat and grab some information about the ball club. Hats of the Chicago White Sox! 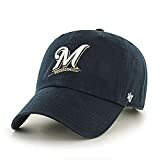 I have a lot of space out their on the web about my Major League Baseball Hat niche. This space is created so that you can grab a Chicago White Sox Hat or Cap and read some unique content about this ball club. Chicago is divided into two baseball fan bases. The north side Chicago Cubs fans, and the south side Chicago White Sox fans. The Cubs fans are considered a little soft while the Chicago White Sox fans are a little blue collar and the type of folks that take that lunch box to work. The other separation is that the Chicago Cubs are in the National League and the White Sox are in the American League. The Chicago White Sox have had up and down success throughout the last 20 years, through players like Frank Thomas, and Carleton Fisk. But rencently in the last 6 years under the managerial expertise of Ozzie Guillen the White Sox manufactured a World Series championship. 2005 was a great year and put the crediblity back into the American League Central Division. Between the White Sox, Twins, and the Detroit Tigers the last decade has been pretty solid for the Central Division. Currenlty the Chicago White Sox are in 3rd place in the Central Division and we are in the last week of June, 2011. They aren't that far off the mark. Some basic Batt ing stats YTD: 13th in Runs, 16th in Batting Average, On-base percentage 11th, and Slugging percentage they are 11th. Their pitching stats YTD are: Era 21st, 6 Quality Starts, Whip is 14th, and Batting Average Against is 22nd. Their hitting isn't missing the mark, but their pitching leaves something to be desired. Only 6 quality starts through almost half the season between the whole staff? To put thing into perspective the Boston Red Sox have 22 quality starts so far. I will be updating this article with new stats and perspective about the White Sox as the season progresses. Please grab a Chicago White Sox Hat on the way out! There is an article on ESPN right now about Ozzie Guillen telling his players not to panic, and that it's not how you start it's how you finish. I agree, especially in this division. This division has not had a bunch of wire to wire winners. It seems the Tigers or the White Sox will lead the division most of the way, then completely fall apart into August, and September. Currently, the White Sox are 30-35 and in third place. First is only good in the last week of September in the American League Central. AL East Hats and Caps! Thanks for stopping by, what did you think? The Yankees vs Red Sox rivalry is the most well-known rivalry in sports history. You will find unique gifts featured here to show the world which team you are on.